Tax, audit and consulting firm contracts TTI to update their voice solution to improve customer service. Our technicians are certified to install and service NEC communication systems and we make ourselves available 24 hours a day, 7 days a week. Recognized as the largest dealer of NEC voice solutions in Houston, TTI recently helped to improve the communications of Spain, Price, Reader & Thompson, PC., a tax, audit and consulting firm that was looking for an updated voice solution with improved customer service. The accounting and business consultation firm required a voice solution that would bridge communications between their office operations and remote staff. User-friendly equipment and quality, dependable customer service were also among their top priorities, as existing support was less than satisfactory. With the expertise and guidance provided by TTI, Spain, Price, Reader & Thompson adopted a completely upgraded operation with the NEC SV8100 communications system. The NEC SV8100 voice solutions system supports unified communication and creates complete reachability for the remote staff at Spain, Price, Reader & Thompson. Key features of their new operation include fax to email, improved caller ID when calls are redirected to cell phones and unified messaging that enables users to easily manage voice messages when away from the office. 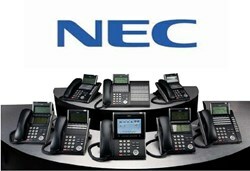 TTI is a leading provider of Houston NEC voice solutions. As one of the largest NEC dealers in the United States, TTI provides high quality communications system products and services for businesses large and small throughout the Houston region. Established in 1987, TTI works with clients to design and implement NEC hardware and software solutions that decrease expenses, grow revenue, and increase productivity. For more information on TTI, please visit http://www.ttihouston.com.